On our last issue, we took a closer look at the truth behind the words used by pet food manufacturers to convince you, the consumer, that their product is the best for your pet. This month, learn more about interpreting pet food labels to determine what is best to feed your canine pal. Discover the truth behind the ingredients list, guaranteed analysis, minimum and maximum content, natural vs. organic quality and ‘human grade’ ingredients. The labeling rules for food ingredients require manufacturers to list ingredients in descending order by weight before processing. Some ingredients, like whole meats, are wet when added and may contain up to 80% moisture and represent the heaviest weight. Whole chicken, beef or lamb listed as the first ingredient on many dog food labels, may represent up to 78% content by weight when added but will be 10% or less by weight after processing. Rice is dry when added and is often listed after meat (chicken, lamb or beef) in the list to create the perception that the food contains more meat. Apparently, rice weight changes very little with processing and may actually weigh greater than meat processing. But how appealing would it be to you if the label shows ‘Rice and Lamb’ or ‘Rice and Chicken’? If the meat ingredient is listed as meal, the moisture has been removed before processing and the actual weight and order of occurrence is more accurate. One important point to consider for the health of your pet is that all meat meals originate from rendered animals. Rendered meats may contain animal waste products, which may not be detrimental to your pet if the source is trustworthy. Unreliable sources contain road-killed animals, outdated grocery store meats wrapped in plastic and euthanized animals which may contain antibiotics and residue from other harmful drugs. 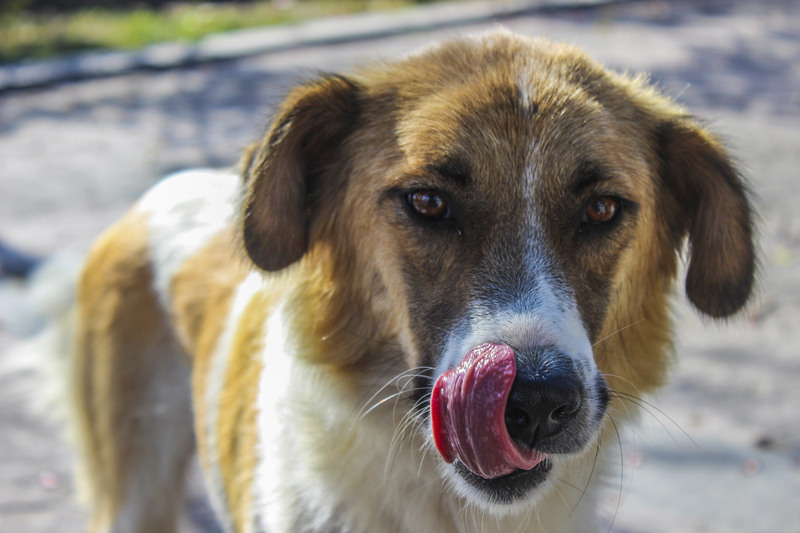 Pet food manufacturers are not required to state that meat meals come from rendered sources. However, if the meal source is labeled as ‘meat meal’ means it may contain mixed protein sources and will be a poor choice for animals with food-related allergies. The only way to learn the source of the meat meal listed on the package is to contact the manufacturer. There is a good chance that they will not be able to identify their rendering source. Meat meals and protein quality and sources are an important part of pet nutrition. Look for more discussion on this important subject in future issues. To meet AAFCO standards, the guaranteed analysis (GA) must include the minimum or maximum percentages (%) for moisture, protein, carbohydrates and fats. The GA does not represent the total list of ingredients, the exact amount of each ingredient or the life stage requirement best suited for the food. The requirement to list minimum and maximum % for macronutrients in reality divests the manufacturer of accountability for accuracy. In other words, the manufacturer is only required to provide an estimate of minimum and maximum content and is not required to specify the exact amount of the ingredients in the maximum or minimum categories. Minimum can be interpreted as ‘not less than…’ while maximum means that the company is in compliance with AAFCO requirements as long as the amount of the ingredient is over the stated maximum. For example, if FAT is listed as 14% maximum, the actual fat content could be 50%. In reality, if a pet food passes the AAFCO feeding trials, the manufacturer can say the food is 100% ‘complete and balanced’ and they are not required to adhere to the AAFCO minimums and maximums, nor are they required to list them on the package. The ‘moisture content’ for most kibbles is listed as maximum 10%. Moisture interferes with the binding process and so manufacturers reduce moisture as low as possible. Natural pet foods are defined as foods solely from plant, animal or mined sources, either unprocessed or subject to physical processes (e.g. rendered). In addition to its vagueness, this rule contains no reference to freshness, nutritional quality or potential toxicity of the ‘natural’ or ‘organic’ ingredients. Organic pet foods are defined as foods that meet USDA organic standards and can contain pesticides. If a pet food labeled as “organic” is similar in price to a ‘non-organic’ food, the origin of the ‘organic’ ingredients should be suspect. Foods labeled as ‘natural’ can contain artificial antioxidants such as BHA, BTA, and Ethoxyquin. Ethoxyquin is a known pesticide not approved for use in human foods. Many high-end pet food manufacturers have already discontinued its use. Manufacturers of lower quality foods voluntarily reduced concentrations to 75 ppm from 150 ppm. However, studies by the Environmental Protection Agency (EPA) showed that dogs are more sensitive than rats to the presence of this toxin in their food. The maximum allowable concentration in human foods is 0.5 to 5 ppm. Long term food safety studies are not required for pet foods and it has never been completed by major pet food manufacturers. This means that even a reduction to 15 times the maximum allowable human concentration will not protect pets who ingest this ingredient in their food every day for their entire lives. 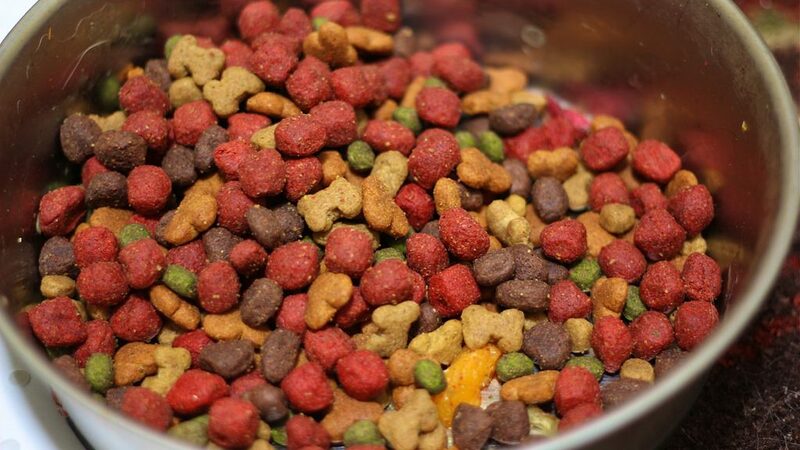 Pet food labels may also state “with added ingredients or supplements”, which can be in the form of vitamin mixes. Direct contact with the Per Food Company is the only way to learn the source of the ‘vitamin mix’ or supplements. Most vitamin mixes are imported from China so there’s a higher chance that Pet Food Company may not be able to tell you the source of the vitamin mix. The toxic ingredient “Melamine” reported in some pet foods a few years ago was eventually traced to a vitamin mix imported from China. In 2008, AAFCO prohibited the use of the term ‘human grade’ on pet food labels but it is still being used implicitly in marketing pet food products. Take a look at the pictures on your pet food bag! Doesn’t that steak look like you could plop it right on to your barbecue!? There is so much more to share to help you to make the best choices for your pet. In the next issue, we will discuss macronutrient content and requirements – specifically the AAFCO ‘rules’ for protein quality and content.